I love helping teams and business professionals maximize results and enhance impact through a my half-day Strengths Discovery workshops! Hello all! 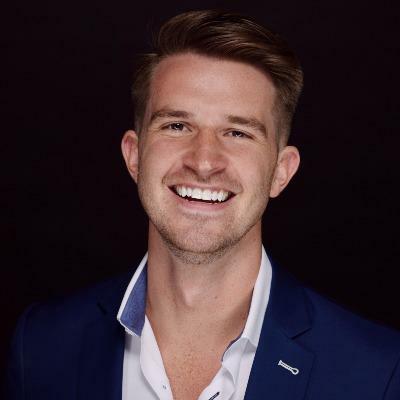 My name is Trevor Johnson and I am excited to be a part of the global strengths movement by providing teams and individuals the opportunity to become more familiar with their strengths through my half-day workshops. Outside of coaching, my husband Jack and I are proud @doggydads (you can follow us on Instagram), and we love to sing and travel together! I'm excited to help young business professionals and corporate teams reach their greatest potential. As a Strengths Strategy Certified Coach, I am equipped with the tools and skills to help facilitate powerful personal discovery and transformation that leads to higher performance. My goal as a coach is to create a safe space for you to discover how to keep your strengths out of toxicity and in the A+ Zone. If you are anxious to discover and connect to your unique purpose, leverage your strengths to deepen your impact, and improve your overall well-being and happiness, I want to work with you! As a consultant at VF Corporation (Vans, Timberland, The North Face, etc), I facilitated team-building workshops with executive and retail teams across the US. While the Director of HR & Operations at Safe Harbor Crisis Center, a nonprofit providing advocacy and shelter service to victims of domestic violence and sexual assault, I rolled out a strengths-based curriculum and provided one-on-one coaching to advocates and administrative staff. As the Talent Manager at Reckitt Benckiser (Lysol, Mucinex, Durex, etc), I've provided coaching and team-building consulting to cross-functional teams in the CPG industry. As an independent contractor, I've provided coaching and workshop facilitation to individuals and teams all over Utah and North Carolina. I am an LGBTQ+ activist, recruiter, employee engagement specialist, training designer, performer, public speaker, facilitator, millennial, video content creator, singer, athlete, fundraiser, nonprofit board member, and life coach.